In Minnesota, summer truly begins when the Fourth of July arrives. It’s a holiday full of fireworks and food, barbecues and boating, family and friends. It can also be full of danger — and we’re not only talking about the fireworks. Stay protected — and hydrated. If you’re going to be outdoors during the day, use plenty of sunblock (and bring extra). You’ll also want to drink water throughout the day, particularly if you’re drinking alcohol (in which case don’t drive). It’s easy to get dehydrated in the heat. Watch what you eat. We’re not talking about counting calories. We’re talking about making sure your food is fully cooked. According to the U.S. Department of Agriculture, meats (steaks, roasts or chops) need to be cooked to 145 degrees Fahrenheit, ground meats to 160 and poultry to 165. Watch what you serve. If you’re heading to a party and bringing food, put it in an insulated cooler with ice or ice packs so it doesn’t grow harmful bacteria between the time you leave your house and the time people dig in. Pull it from the fridge right before you leave for the party. Don’t drink and drive. We shouldn’t need to tell you this, of course, but the period around the Fourth of July holiday is a deadly one for drunk-driving fatalities. Don’t drink and boat. Alcohol is a factor in about one-third of recreational boating deaths, says the Coast Guard, so boating under the influence is never a good idea. Make sure everyone’s got a life jacket. If you’re going to be near or on the water, life jackets are a must. On a boat, there should be enough life preservers for everyone, and remember that kids need an appropriately sized jacket. Lighting fireworks? Be prepared. Keep a hose or bucket of water close by, and make sure you’re not aiming at people, animals, homes, plants or cars. Supervise the kids. Youngsters shouldn’t be lighting fireworks at all, and older kids need to be watched closely. Even sparklers get much hotter than you think. Keep your distance, too. Thousands of people show up in the emergency room this time of the year with firework injuries. Don’t be one of them! No matter what you’re doing, keep safety in mind at all times. 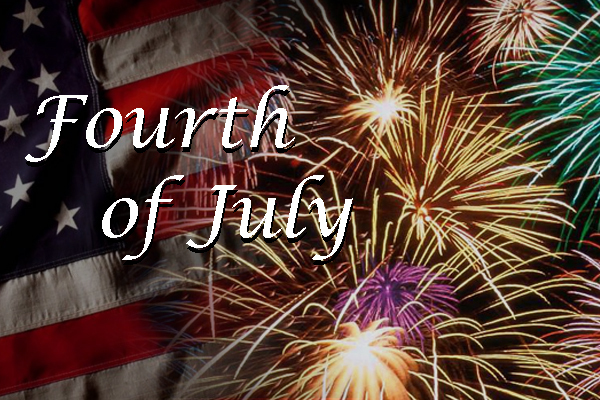 Those of us at Deleski Insurance Agency wish you and yours a happy and safe Fourth of July! When a big storm hits in Roseville, MN or St. Paul, MN, you hunker down inside, relying on your home to protect you and your family. Once that storm passes, though, it’s time to repay the favor — identifying damage and protecting your home from further issues. Your roof: If you see holes, split seams or missing shingles on your roof or if you notice leaking inside or out, it’s a good idea to have a qualified inspector come assess the situation. Your exterior: Siding, brick and stucco are all vulnerable to storm damage. You’ll want to look for cracking, chipping or dings and dents in siding, and for holes in stucco. Look closely and at different times of the day. Some homeowners don’t notice damage until it’s too late to file a claim, and different lighting can reveal damage you didn’t see before. Driveways and walkways: Cracking and splitting can create safety hazards, as well as reduce the lifespan of the concrete. Trees: According to the National Storm Damage Center, fallen trees and limbs cause more than $1 billion in damage annually. 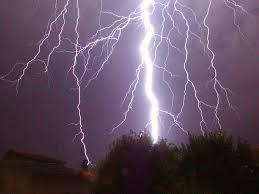 Check roofs, vehicles, fences and machinery for fallen limbs that may have caused damage or could pose a risk. Clean up what you safely can and rely on a reputable tree removal service to handle the rest. Depending on the circumstances, your homeowners insurance policy may help with tree removal and damage repair costs – if you experience a covered loss, that is. Keep trees well maintained and trimmed. Also notify neighbors if you see any overhanging branches on any of theirs. Know your insurance. Take a look at your policy so you know what’s covered, what your limits and deductibles are, etc. This will prevent any surprises during the claims process. Take pictures. Photographs can help you show the cause and extent of any storm damage that occurs. Of course, if you’ve suffered through a major storm, don’t hesitate to call us at Atlas Insurance Brokers for help with an insurance claim or with finding a professional property inspector. As the weather warms, you’re likely to start seeing announcements for a classic car show in Roseville, MN and Saint Paul, MN. These automotive events are a great way to kick start your weekend or vacation. Classic car shows are held all across the country, from small rural towns to large metropolitan areas, and they draw classic car enthusiasts from near and far. Some people attend classic car shows as spectators to check out unique and rare vehicles. Others go to connect with fellow car buffs or to show off their prized possession. And some attend shows to shop or to sell. Whether you’re planning to shop, sell, show, or just go, here are some tips for making the most of a classic car show. Family fun. 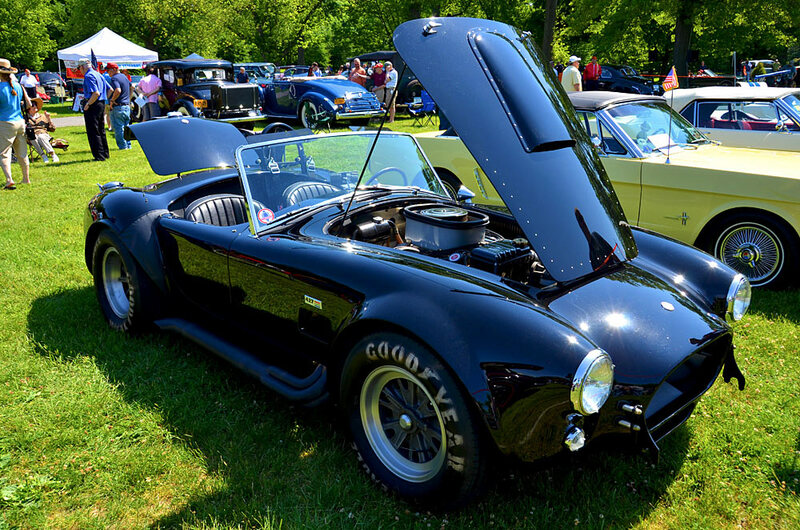 Larger classic car shows typically feature entertainment, food vendors, raffles and more. Bring the whole family for a day of fun. Plan. Take note of the event schedule, plan before you go, and make sure you’re aware of the hours for check-in. Be the early bird. If you’re entering your automobile in a competition, sign up early. Most are limited to a certain number of entries, and it’s usually first come, first served. Know the value. If you are planning to sell or buy, you must be well versed on the value of the vehicle and the market conditions. Buying or selling a car—especially a classic—can be an emotion-driven experience. Knowing the facts is essential if you are to get the right deal. Need parts? Some larger car shows also feature a swap meet. Before you go, research the show and take note of car accessories and parts you might need. Get some rest. Larger car shows can sprawl for miles upon miles. Make sure you’re rested, hydrated, and fed so you have plenty of energy for a long day of roaming. Pack a bag. Be prepared to get the most out of the day by bringing along what you might need for the weather – from coats to sunscreen – and for your basic needs – from water to snacks. And most importantly, contact Deleski Insurance Agency at 651-633-0400 to make sure your classic car has the coverage it needs so you can enjoy yourself at the classic car shows. If you think commercial auto insurance is just for businesses, think again. Do you deliver pizzas, newspapers, food or other types of products in your vehicle? If so, you may need to insure it with a commercial auto policy. Your personal auto policy may specifically exclude these actions from coverage, which means an accident or other loss may not be covered by your insurance if it’s not a commercial auto policy. These actions are considered part of conducting business, which is why they would be covered by a commercial auto policy instead of a personal auto policy. 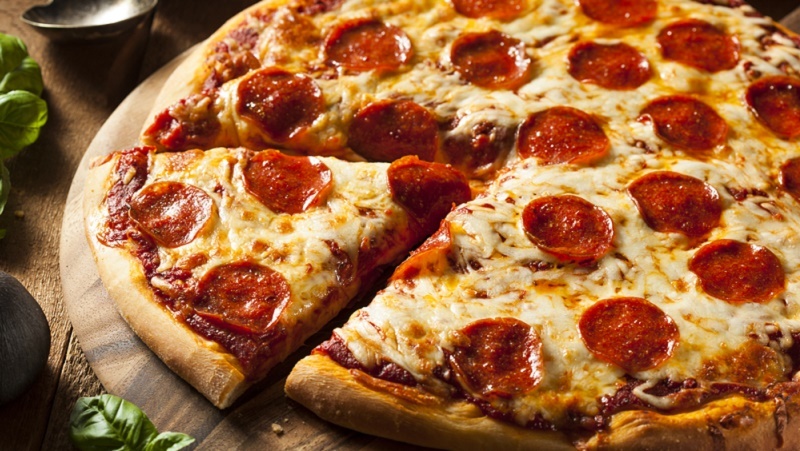 At Deleski Insurance, we help pizza delivery drivers find the coverage they need in the Minneapolis, Saint Paul, Roseville, and surrounding areas. Don’t be left with a bill if and when an accident occurs. Get a commercial policy today and save your tips for yourself! We here at Deleski Insurance want to remind you that Daylight Savings Time is a great time to improve your family’s safety. Health and safety agencies often use the approach of Daylight Savings Time to remind people to change the batteries in their smoke alarms. The American Red Cross suggests you test your smoke alarms and talk with your family about your fire escape plan. Whether you live in Minnesota or elsewhere, practice the plan too – at least twice a year. Daylight Savings is a great time to check your emergency preparedness kit to make sure it’s fully stocked with fresh supplies. According to the Centers for Disease Control and Prevention, more than 400 people die annually in the US from carbon monoxide poisoning. 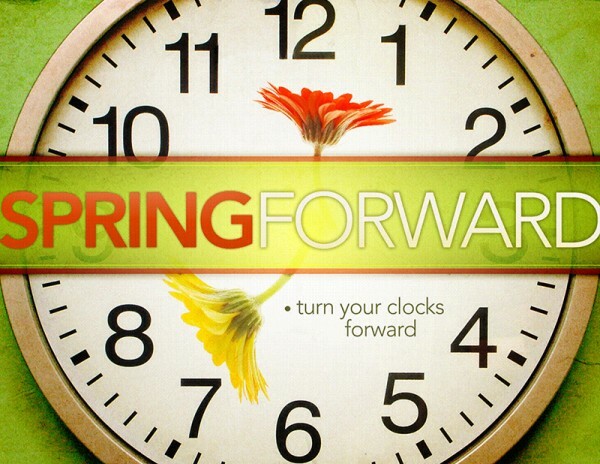 The CDC recommends changing the batteries in your CO detectors when moving your clocks forward this Sunday. See the CDC’s site for more ways to prevent carbon monoxide exposure. We here at Deleski Insurance hope these tips help and that you’ll consider sharing them with the people you care about so they can live safer lives too. Insurance company information, logos, or the like, found on this site do not indicate an active partnership with, or an endorsement by the Deleski Agency. Carrier relationships are subject to change. Serving the Twin Cities Region, including Roseville MN, Minneapolis MN, St Paul MN, Arden Hills MN, Columbia Heights MN, Little Canada MN, New Brighton MN, Shoreview MN, Vadnais Heights, and more.